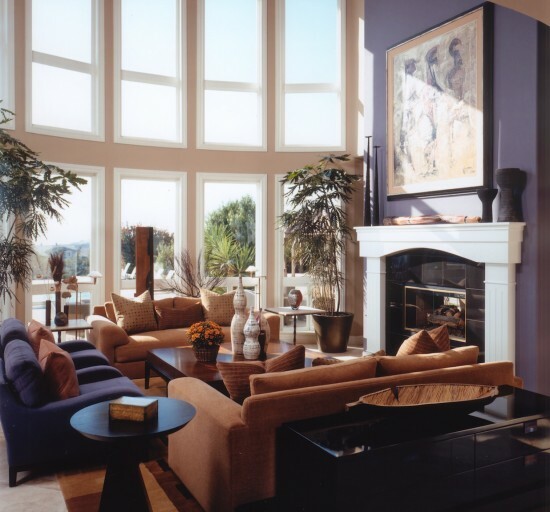 Blueberry upholstered accent chairs echo the color on the soaring fireplace in this Olivenheim interior design scheme. 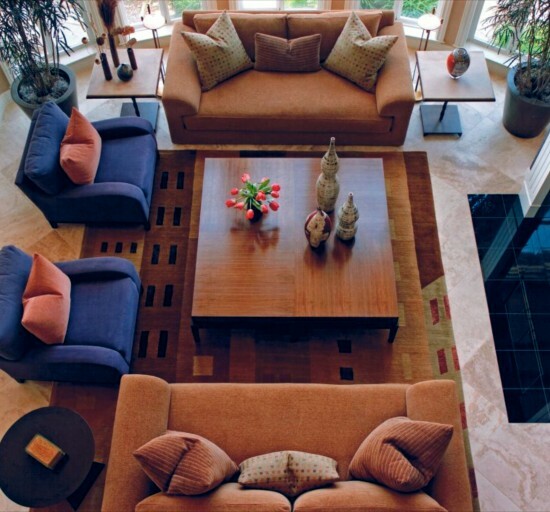 Art played a key role in creating this tailored space; even the area rugs are modern works of art. "Walters used sculptural furniture to create a sophisticated fusion with the modern art. Curves and color make the home contemporary without hard edges."